Slip and Falls at Airports and on Planes: Who’s Responsible? Home / Slip Trip and Fall / Slip and Falls at Airports and on Planes: Who’s Responsible? Plane crashes and acts of terrorism are most likely to come to mind when you think of injuries at the airport or on planes. But many other, less violent accidents occur every day at airports and planes around the world. In fact, airports are prime locations for slip and falls, given that they are typically chaotic places full of hectic passengers rushing to get to their gates on time. If you slipped, fell, and sustained in juries in an airport or on a plane, or if you sustained any other injuries from rogue food carts or falling baggage, it’s in your best interests to consult a personal injury lawyer as soon as possible. Learn about your legal rights and determine if you could have the basis to file a lawsuit. You shouldn’t have to pay for injuries that were someone else’s fault. What happens if you slip and fall at an airport? 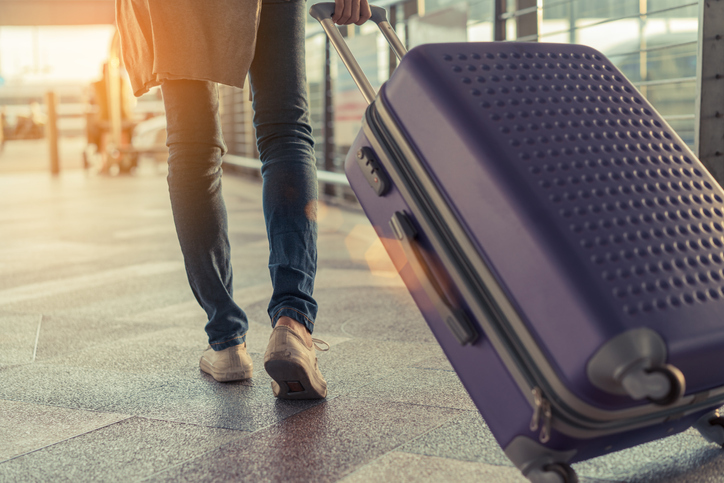 Airport slip and fall cases can be particularly tricky, which is why it’s important to hire a personal injury lawyer who has extensive experience in this area. These cases are complicated by the presence of multiple businesses within the airport. In any given airport, there can be dozens of restaurants, shops, and similar establishments. The question of who is at fault for your injury depends on exactly where you were in the airport when you slipped and fell. For example, if you were dining at an eatery and slipped on some liquid that a waiter had left on the floor, then the lawsuit may be filed against that eatery. But if you were injured in a main area of the airport, away from an individual establishment, then you may file the lawsuit against the airport itself. On the other hand, if you tripped and fell on an uneven airplane ramp, then the lawyer might determine that it’s most appropriate to file the claim against the airline responsible for maintaining that ramp. What happens if you’re injured on a plane? Airlines are legally responsible for doing everything possible to ensure the safety of all passengers. That includes ensuring a safe passage down each aisle. In some cases, a slip and fall on an airplane may be found to be the fault of the airline itself. Even in cases of “acts of God,” such as in-flight turbulence, the airline might be held liable if it’s determined that the pilot failed to check the weather conditions or that the attendants failed to properly advise passengers to fasten their seatbelts when appropriate. Learn about your legal options and rights, and get your case evaluated by an experienced personal injury lawyer in southern California. The Salamati Law Firm has been helping accident victims in Los Angeles for more than 20 years. Los Angeles slip and fall lawyer Sean Salamati provides vigorous legal representation in and out of the courtroom to ensure that you receive maximum compensation for your injuries, lost wages, and other losses. Call The Salamati Law Firm at 855-338-0812 today to find out if you may have a case. « Should You Take Time Off Work After a Car Accident?